Bugsy Siegel and John Gotti were exceptions. Most gangsters do no want publicity, especially not the Sicilian Mafia. 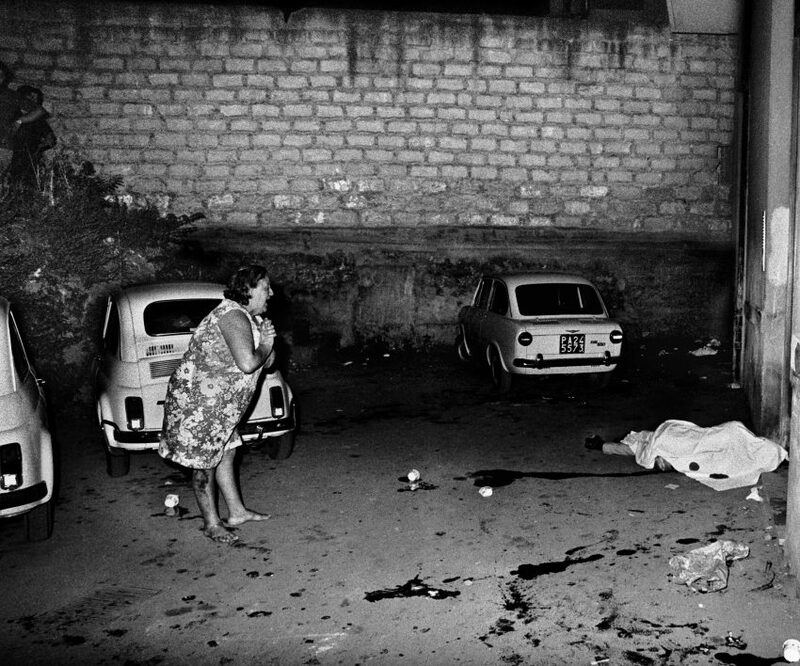 That definitely put photo-journalist (and former member of parliament) Letizia Battaglia in a dangerous position, since she spent the better part of her career documenting the Mafia’s violent crimes. Yet, she survived to help lead the tide-changing anti-Mafia protests following the assassinations of her friends, Judges Falcone and Borsellino. Battaglia bears witness in Kim Longinotto’s Shooting the Mafia, which screens during the 2019 Sundance Film Festival. Although Battaglia initially accepted the traditional wifely role of Sicilian women, it just didn’t take for her. After the dissolution of her marriage, Battaglia’s passion for photography became her profession. She began documenting the extreme poverty of Palermo, like a Sicilian Jacob Riis, particularly its impact on women and children. 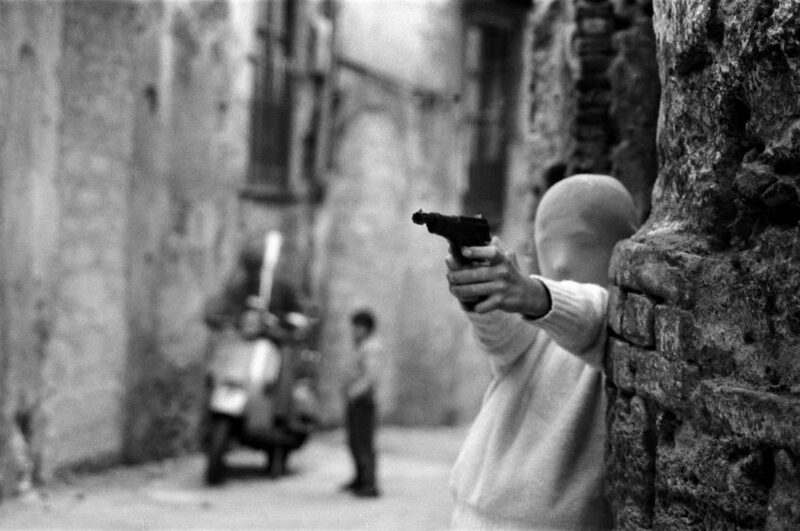 However, she quickly realized the number one cause of Sicily’s social ills was Mafia violence. She focused a searing spotlight on their atrocities with her stark, black-and-white crime photos. Frankly, Battaglia is lucky to be alive. Somehow, the Mafia never got around to killing her, unlike her allies, Judge Giovanni Falcone and Judge Paolo Borsellino (who would be considered prosecutors in the American legal system). Perhaps understandably, Longinotto turns her focus away from Battaglia for a good part of the mid-section to chronicle the two crusading judges’ initial successes, their subsequent murders (57 days apart), and the resulting outrage that backfired on the Mafia. It might annoy Battaglia’s admirers, but it is necessary context to understand today’s Sicily and her place in it. It is also a fascinating period of early 1990s history that was not so well reported her in America. Frankly, it is much more informative than the TMI sequences in which the eighty-four-year-old Battaglia and her much younger Bruce Weber-ish art-photographer lover discuss the nature of their relationship. Shooting the Mafia will most likely challenge many stereotypical notions regarding the Sicilian Mafia. Regardless, Shooting the Mafia will most likely challenge many stereotypical notions regarding the Sicilian Mafia. Their ruthlessness and cruelty might surprise some, but not others. However, there is absolutely nothing glamorous about the thuggish Mafia leaders and the crude living conditions they endured while in hiding. Yet, they still exercised enormous power, ordering hit after hit, from their secret hovels. Battaglia remains a lively and engaging figure, who easily maintains the audience’s collective interest. She is definitely a strong role model for young women journalists, but the film also gives ample credit to Falcone and Borsellino. Whether you agree with Longinotto’s editorial choices or not, Shooting the Mafia is highly informative. Recommended for general audiences (and as a corrective for fans of Hollywood gangster movies), Shooting the Mafia screens during this year’s Sundance Film Festival.